The track in question today is Kurt Nilsen’s track “Last Storm” taken from the 2008 Norweigan No.1 selling album “Rise To The Occasion” Kurt Nilsen is the winner of the Norweigan Pop Idol in 2003 and later a winner of World Idol in 2004 beating the likes of Britain’s Will Young and Americas Kelly Clarkson. He has forged a very successful recording career that is still going strong over a decade later. 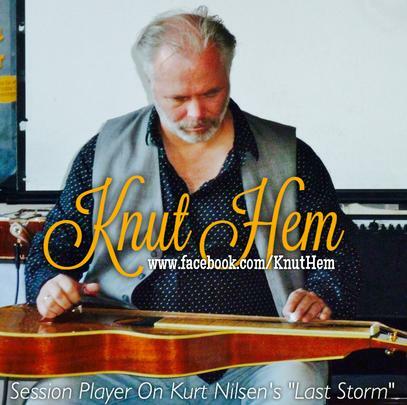 “Last Storm” was the opening track on this Kurt’s 4th studio album which was noted for his collaboration with country legend Willie Nelson on the track “Lost Highway”. 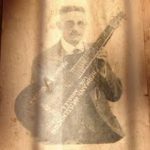 Right from the very first bar of the the first song “Last Storm” there in all its glory is fellow Norweigan Knut Hem playing one of the most delightful Weissenborn intros ever recorded in my opinion. It sets the track up brilliantly and underpins this vivacious and extremely catchy melodic song that showcases Kurt’s silky smooth vocals to perfection. Knut Hem is a Norweigan session and recording artist who plays drums, but specialises in dobro and Weissenborn. To date Knut has released two solo instrumental albums “Once In A Very Blue Mood” 2000 & “Almost On My Own” 2012. Here’s the Story of how Knut got the recording studio gig that day. Hi Aron, ok so I’ll see what I remember. I had of course like everybody else in Norway at that time followed Kurt’s career from the very first Pop Idol audition and was instantely a fan of his voice. So how did you get the session job for this track? The story goes like this Kurt’s producer Jørn Dahl is a long time friend and college of mine, (he’s a keyboardplayer and we used to play together in band 20 years ago or so). I’ve done several sessions for him, I even played drums on a single he produced for English artist Kathryn Williams called “Jasmi Hoop”, I think it was a small hit in Britain. So when it decided that Kurt was going to do a country album I was called in to do some dobro stuff for the more bluegrassy songs on the album. Had you heard the song before you went into the studio? No I’d never heard it before I went to the studio that day. Jørn played me “Last Storm” on the day I arrived and asked if I could come up with something different on this track. I thought the track was so cool and Kurt’s singing as always was fantastic. I can’t remember if I had the Weissenborn with me on that first session and I think I went back home and did it the next day when I bought my Weissenborn into the studio. How many takes and how many alternative versions did you record Was you given a free hand to improvise on the day? I did all the licks and bits very fast, it was a very easy song to come up with nice weissy licks for. So for the intro part Jørn said he had to leave the studio for the rest of the day, but told me he definitely wanted the weissy for an intro. So he left and me and the engineer to do the work. I had a free hand to play whatever came to my mind and so I did just that. I’m still very proud of that !! I was aiming for the mood of the song, and hope I got it right. Can’t remember how many takes, not many like I said, it was an easy song to come up with great lines for, it sort of recorded itself. What Weissenborn did you use to record it and what tuning did you use? I used my only Weissenborn the beautiful Bear Creek made by Bill Hardin, but I can’t rembember if I used a capo or if I tuned to the key of the song. I can’t remember what key either, I have only played it the once in the studio, but it’s not in the usual open D or C tuning, I think it’s in D sharp maybe? 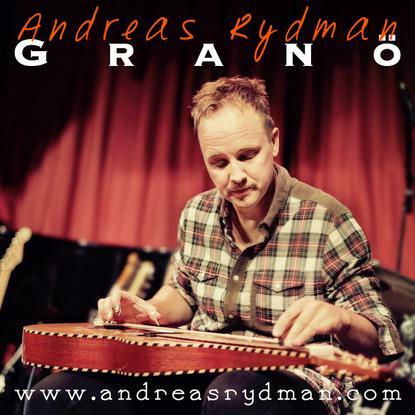 Did you feature on any of the other tracks on “Rise To The Occasion” playing dobro perhaps? Yes I played on two more tracks on the dobro. Looking back now is this one of you finest recording moments? Would you change anything now if you had the chance to rerecord it? Looking back I think it’s one of my favourite weissenborn recordings for another artist and I wouldn’t change anything in retrospect, it just works !! Did you ever meet Kurt during or after the track was recorded? I had met Kurt before the session that day, and I still meet up with him occasionally now, he’s a very nice guy and I would say yes right away if he ever would ask me to do more Weissenborn on any of his records. I’ve also done a couple of live events together with him and there is also an unreleased version of “Silent Night” I did on Weissenborn on for his christmas album, but I’ve have never heard it I’m sorry to say. Was you personally credited on the album? Was it a one off session payment? Yes I was credited on the album as a dobro/weiss player and recieved the usual studio payment. Did you get any further session work as a result of doing this track? I don’t know if it made any more session work for me after that, but I have done and still do Weissenborn sessions for other artists, but not so many lately. Tell us what your up to these days yourself, there was a rumour you might be recording a Weissenborn solo album? I’m currentely working in my spare time to finally try and finish the weissenborn album, but it takes time. When I think I have it made, I start listening back to what I have and then it goes to the bin. I hear and see many great Weissenborn players are doing these days putting out great albums so when I hear what I’ve done I just throw it away and think it’s not up to scratch. It has to be good the standard these days is pretty high and I don’t want to put out anything that I don’t will be happy with. Thanks for staying “On Track” Knut and all the best to you. My pleasure Aron hope it wasn’t to boring, and all the best to you to. © The Weissenborn Information Exchange 2019	| Website Design.